Patent pending precision gear provides accurate projector image alignment. Two adjustment knobs control projector image alignment. Horizontal wrench access slots make flush mounting installations fast & easy. Pre-assembled design reduces installation time. Quick release mechanism to easily service projector. Cable management allows cables to be routed through projector mount out of sight. Security hardware included for theft prevention. Tilt- ± 20°, Roll ± 10°, Swivel 360°. Contact Peerless for model specific adapter plate, or universal clamp style adapter plates. Tilt and roll locking security screws provided. 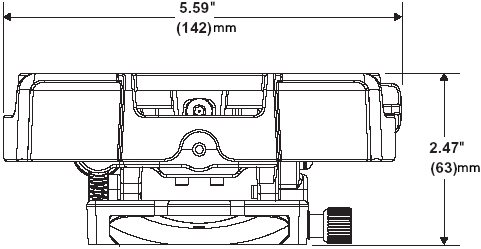 Peerless' PRG Precision Gear Projector Mount is changing the way image alignment is done. The patent-pending precision gear design provides exact tilt and roll image positioning with a simple turn of a knob. Once the installer sets the precision gear to the desired position it stays securely in place. 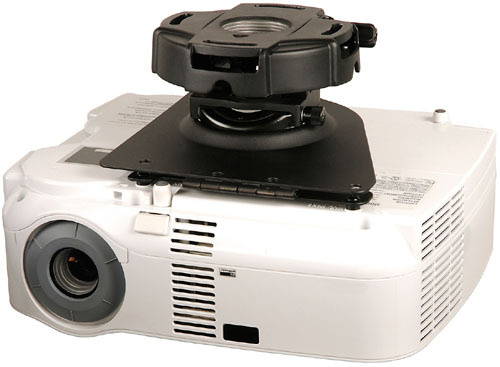 It will not shift during projector maintenance, bulb replacement, and will not loosen or change alignment due to vibration, accidental bumping etc. With Peerless' PRG Precision Gear Projector Mount the installer sets it and forgets it.